Ok, so I realize my title is way too large a topic for a blog. It reminds me of the M.A.S.H. episode where Radar O’Reilly reacted to the title of a book Hawkeye was holding by exclaiming, “War AND Peace?? ?” but fear not, this is not a Tolstoy-length missive, but rather a few observations made by a long-in-the-tooth IT professional about how healthcare entities can apply intelligent innovation to leverage the explosive growth in HC-related data in order to improve patient outcomes and reduce cost. By way of background, I’ve spent most of my 20 year IT career focused on data – how to lay it out, protect it, replicate it, speed it up, migrate it, and “everything else” it. And I also have a strong affinity for healthcare, having worked in several hospitals before the advent of digital records as a unit secretary in critical care and emergency room units, and having married a registered nurse who specializes in home health care. Add to that being a lifelong consumer of healthcare in a family with a genetic disposition for serious illness, and hospitals feel like a second home to me. There appears to be little to no disagreement amongst the collective minds in healthcare that data is growing exponentially, perhaps at a greater rate than within any other industry segment. Massive increases are occurring as a result of technology advances like 3D imaging (estimated 8.5x the data storage requirement of 2D imaging), genome sequencing for the masses, emerging Big Data-type applications like precision medicine and population health, and the healthcare Internet of Things from mobile medicine, patient-wearable devices, and many other types of machine-generated healthcare data. 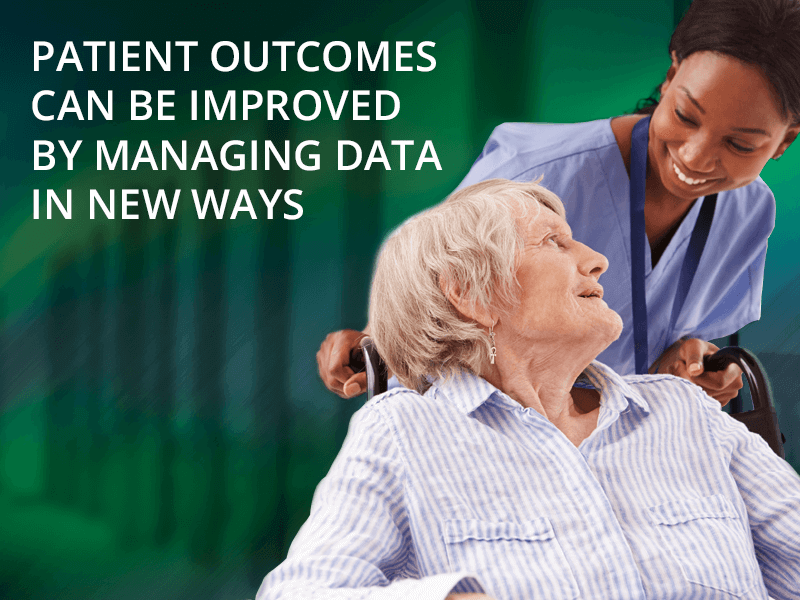 There is also broad agreement amongst those same minds that patient outcomes can be significantly improved by managing all of this data in new ways that allow better and easier collaboration, portability, better workflows, and faster, lower cost access to information at the point of engagement. However, IT is not a core competency of most healthcare providers – it requires a huge investment in people, processes, and facilities today, and more in the future to make use of the data that is coming. Hence the challenge – make it economically feasible to capture and utilize this data to better influence patient outcomes. Innovators are not satisfied with the status quo opinions. They realize that to consider an issue settled is the quickest path to obsolescence. One good example of this is the current de facto “standard” in enterprise storage – the All-Flash Array (AFA). When first introduced, AFAs were an answer to a specific workload problem – namely small, random reads for databases. Solid State Drives (SSDs) are demonstrably not the best media for large, sequential reads, nor especially for writes. In a sense, I view them as the “lazy person’s solution” in that AFAs use brute force media-dependence to overcome inherent architectural limitations and deliver improved performance. Did they solve a real issue in the data center? Yes. Did they – and do they – increase the cost of storage? Absolutely. Can innovation in data storage be abandoned as a result of their growing popularity? Absolutely not. “What is possible,” and, in fact, “What is actual,” in this case is innovation that repeatedly defeats the AFAs in performance, capacity, reliability, and cost. The fact is that the “What is” for data storage today is simply no longer sufficient to meet the rapidly changing requirements of Healthcare Information Management. Or, to put it more succinctly, lack of innovation in data storage is putting limits on Healthcare’s “What is possible”. This perhaps requires some out-of-the-box thinking, or perhaps not. It’s really more about identifying pain points and asking whether they can be overcome or eliminated. One “this” might be “Can you eliminate the need to purchase, deploy and maintain two separate platforms for block and file use?” Another “this” might be “Can you reduce the time it takes to ingest data from disparate sources?” Or possibly “Can you deliver a storage platform that can significantly reduce our technical staffing requirements to deploy and manage it?” You get the idea. Start with the questions before jumping ahead to the presumptive answers based on current capabilities. The point is that innovators go left when everyone is going right. So it will likely require asking the right questions to determine if “What is” is all there is. At this point, there are probably some readers thinking (asking), “this is all well and good, but isn’t the public cloud the answer here?” I will answer that with a qualified “perhaps.” The fact is that public cloud providers use storage that is either purchased from the same pool of “What is” from which on-prem IT shops purchase, or they develop their own storage platform in-house for their specific model. In the latter case, often brute force replaces true innovation in the form of up to six or more copies of data to ensure data availability – this, of course, contributes to the relatively high $/GB-month that is typically charged. My third (and final) observation is that, in the end, going to the public cloud is an operational decision that can carry a huge price tag. It does no healthcare IT shop any good to adopt a public cloud model if the financials of the solution (which I believe involve a very complex calculation with many, many factors) don’t offset their on-prem or private cloud cost on a level that justifies any compromises they determine will have to be made. But please don’t misinterpret what I’m saying here. I believe the public cloud is a viable solution for many use cases – my earlier advice to ask “What is possible” in the area of storage innovation is directed at public cloud providers too. In closing, it occurs to me that my title, “The Evolution of Healthcare Information Management,” perhaps should have been, “The Speeding Train of Information Management Changes that May Crush You if You Aren’t Prepared For Them.” Biological evolution indicates that new species develop over massive amounts of time through mutations of individual genes called alleles. In the case of Healthcare Information Management, change is accelerating to a blinding pace and has created the immediate need for innovative environments in which massive amounts of information can thrive.